During our original crowdfunding campaign, on 12th March 2019 we successfully raised £1,249 with 65 supporters in 69 days. We are now continuing to accept donations to make this project happen. Find out more about our original plans below. We are the EU Flags Proms Team are proud to have given out over 30,000 EU flags at three last night of the Proms events, the London marathon and the Eurovision You Decide Contest on BBC2 working together with #EUFlagMafia and many other groups. After the advisory referendum, we gave out 2,500 EU flags (printed in Boston, Lincolnshire) at the last night of the proms 2016 and we couldn’t give them out quickly enough. It was the first organised pro EU event and it hit the headlines all over the world. Since then, it has become tradition and we aim to continue what we started and give out 1000s of flags at the BBC Proms 2019 along with other events where we can get our flags seen by millions of people on TV. We’re British, European and proud and we all wear both Union Jack AND EU flags, but we only give out EU flags as we don’t want to compete with the flag sellers there and most bring their own Union Jacks. All money raised will go towards buying flags to hand out at events and we have a great track record at pulling off big events. 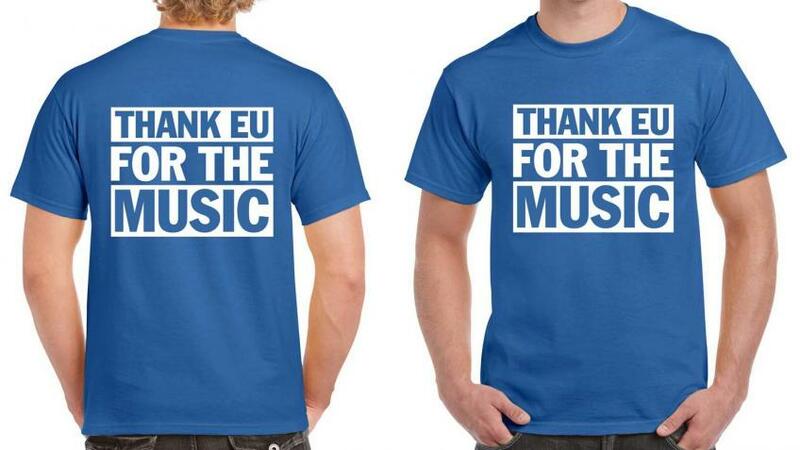 Please support us keeping EU visible - what we do is so important. Be loud and proud and keep that flag flying. Our intention is to make EU flags at the BBC proms a British Tradition. Regardless of what happens with Brexit we will never give EU up.